1986 Nissan D21 pick-up. Power to the fuse panel went out. Truck starts and runs fine. Experience: Experienced automotive repair technician, Pulaski Tech graduate and DSM hobbyist. Hi there, thanks for using Justanswer. start by checking teh fusible links coming off the battery post. Does P.T.C. 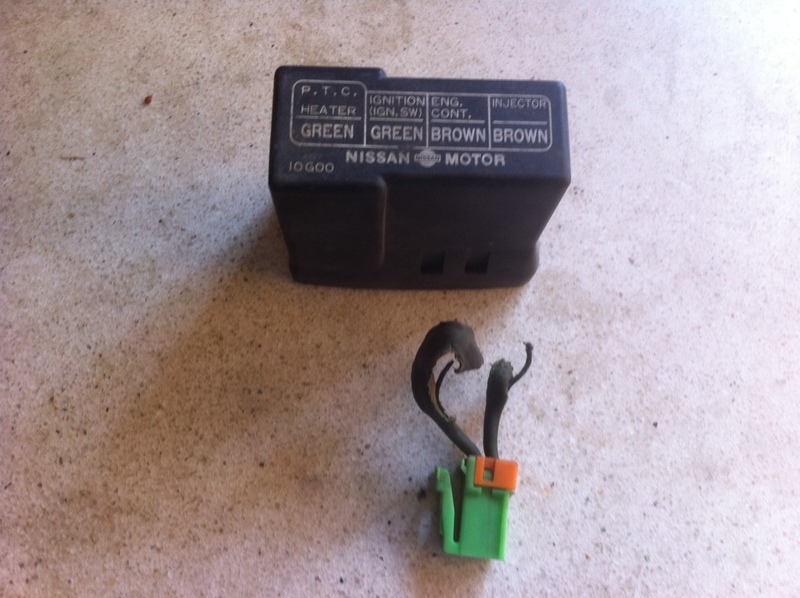 Heater Green supply power to the fuse panel for lights horn fan etc? The relay was warm to the touch. Is there a test to see if relay is good? ok is that the PTC heater fusible link? i'll run out and see if it will still start. it did 2 hours ago. The truck was running, just no lights and a/c fan etc. the truck just started ok.
is a fusible a wire thing like in that first picture. I pulled apart just about every relay and fusible link. I pulled the battery and cleaned everything up. Still no headlights, dash light, HVAC blower motor, etc. (windshield wipers, starter and engine work fine). I had left the the head lights switch on (powerless) and while I was tightening up the battery hold-downs, the power came back on until I turned the engine on-off-on again, then no power again. Maybe something in the ignition switch? 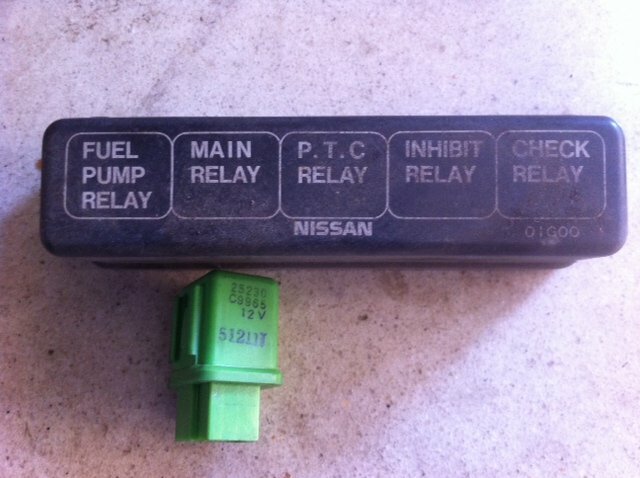 Does the ignition switch energize a relay somewhere? 1993 Nissan D21 Pickup: intake manifold gasket replaced..surges..RPMs.